I’ve had my i3 MK2S for some time now and have printed lots of stuff. 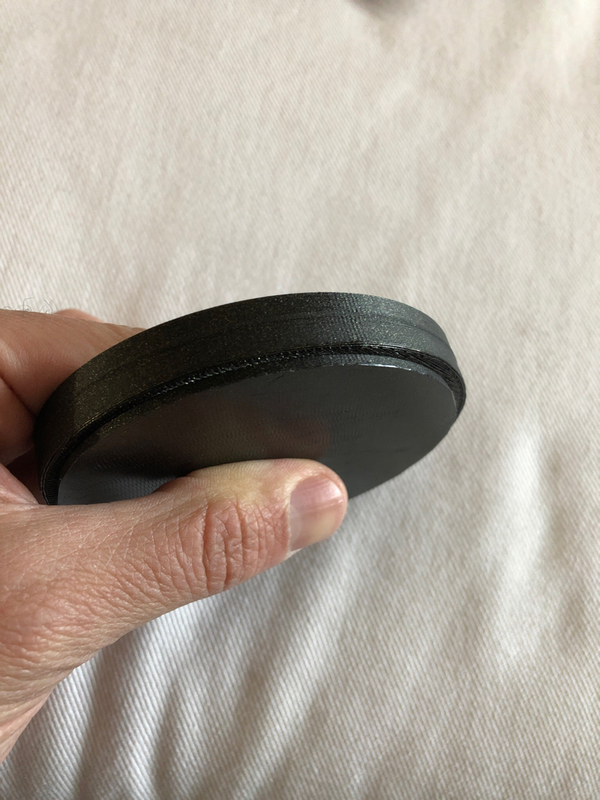 Until this point everything has come out pretty much as I’d expected, until I recently printed a round coaster and noticed what appears to be a layer shift of some sort. 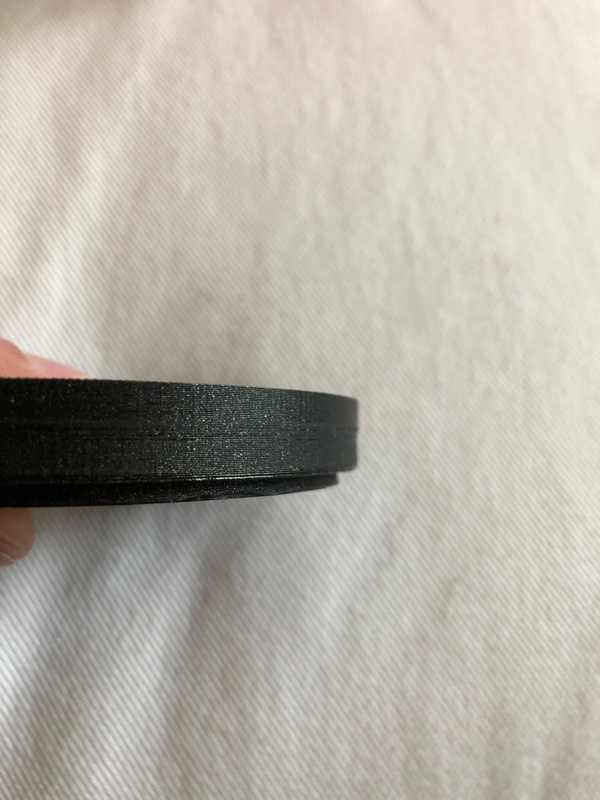 I’ve printed other items since this issue and all were perfect, it just seems to happen on this round piece. Taking a caliper measurement, it looks like the shift starts at the same Z height as where the coaster goes from a solid body to just the outer wall, so I’m wondering if it’s a temp/shrinkage issue? 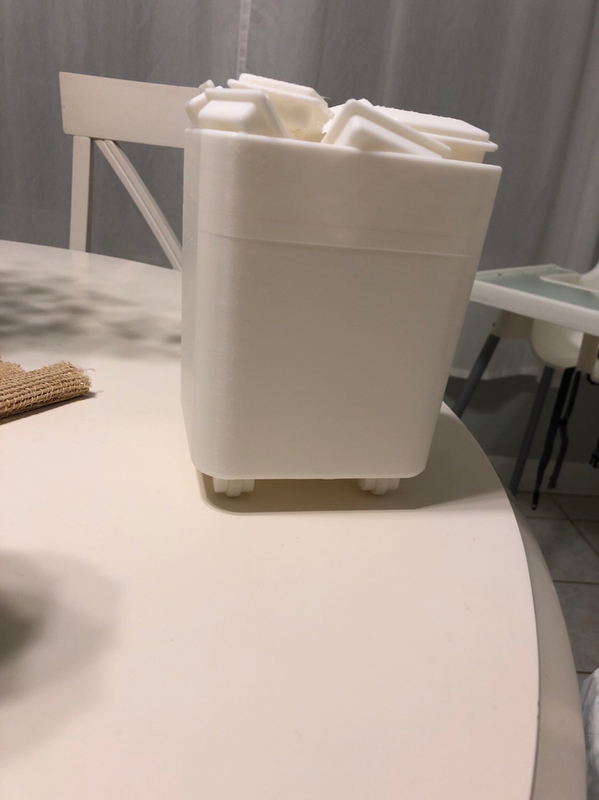 I used two different types of PLA, which I always thought is one of the more stable materials. What’s further puzzling to me is that the bottom half (pre-shifting) is measuring about .010”-.015” smaller than what the dimension should be, and after it “shifts” the top half matches the intended dimension. If anything, I’d have expected to see the bottom be what I wanted it to be, and the top be even bigger than that. Thoughts? I would first try changing the layer height. Sometimes slicers do strange things when a part comes out not matchng the height with an exact or at least close number. If that doesn't work I would try printing with a raft to see if that cures the problem. It looks definately like a slicer problem though. Do you have access to another slicer? Which slicer did you use? If you sliced it with Cura, you might want to try Sli3r. I am in no way an expert, just my opinion after years of playing in this hobby. Hi Harold, thanks for the feedback. I’m using the Prusa version of Slic3r, with layer height of 0.2mm. I will try your suggestions and post the results once complete. Does it show up when you look at print preview in Slic3r? You can step through the layers before you print. I’m going to check into this today but it’s no longer an isolated incident. I just ran a long print (35 hrs) this weekend and it did the same thing. Again, it looks like it happened at the same Z height as where the body went from solid to hollow. You can kind of see the line in this picture. So you see the double line? Those are coincident with the top and bottom of a solid wall that’s inside of the part. The rest of the part is hollow and the sides are all smooth. It is not at the same z height as the first project, so it is definately a slicer problem. Have you changed any speed or acceleration settings that might have your hotend overshooting a small amount? Try printing a little slower and see if it is as pronounced.